Having a dog as part of your family is a lifetime commitment, but we know that sometimes unforeseen events occur that make it impossible to keep your lab. We know how stressful this can be, and we are available to talk with you about your situation, and try to help in any way we can. 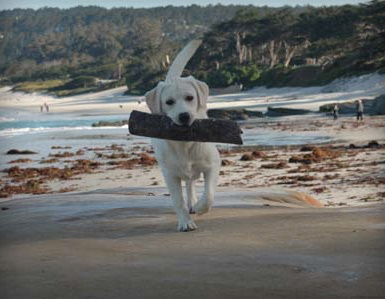 If you live in Monterey or Santa Cruz counties (or live out of our area, but are willing to bring your dog to us in Monterey), we may be able to help you place your lab. We are limited in the number of dogs we can take into our program by the number of foster homes available, so if you’re able to keep your dog in your home, even for a couple of weeks, there is a better chance we can help. If you wish to surrender your lab to Monterey Bay Labrador Retriever Rescue, please contact one of our Rescue Reps (see CONTACT) page. When you call, you will be asked for detailed information about your lab, including age, gender, spay/neuter status, medical history, training, and behavior as well as the reason you need to give up your dog. Please be prepared to email Monterey Bay Labrador Retriever Rescue current photos of your lab. We will answer all of your questions and let you know the prospects for placing your lab in a new family. Please note: If your dog has bitten someone, is dog aggressive, or is in poor health, we cannot accept your dog into our program. If you are comfortable with our program, and we feel we can place your lab, we will have a Monterey Bay Labrador Retriever Rescue Rep come to meet your dog in person to further evaluate his or her adoptability. We will also email you a LAB NEEDING PLACEMENT form. We require that you also supply us with current medical records showing if your dog is spayed or neutered and if they are current on vaccinations. If we accept your dog into our program, we promise to find him or her a loving new home, and will email you a description of the adopting family as well as a photo of your lab with their new family.